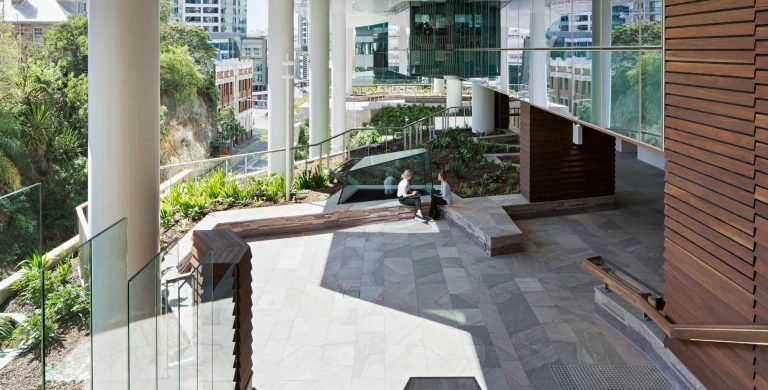 480 Queen Street is a premium grade commercial office development incorporating a publicly accessible pedestrian street and elevated park that establishes a new office building typology for Brisbane’s CBD. 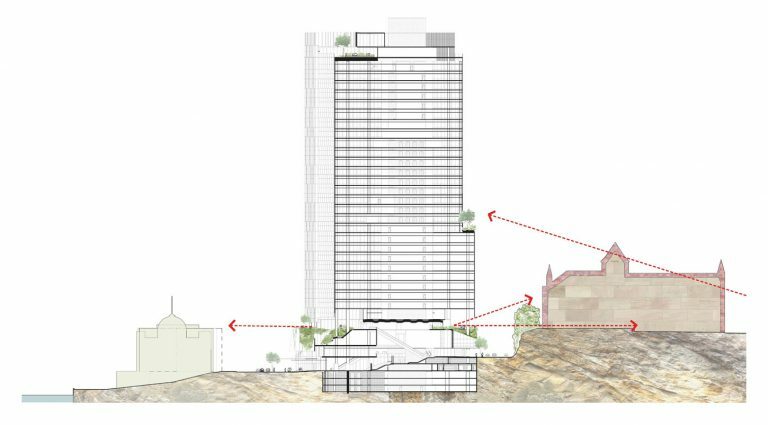 Termed a ‘Campus Tower’, the development is designed to incorporate a carefully considered commercial and public realm solution meeting the brief for ‘Premium’ grade office accommodation. The 4,144m² site provides a large parcel superbly located in the city to warrant a large scale development. Its unique property shape and cross fall between Adelaide and Queen Streets, are features that influence the building cross section and distribution of building volume. The development offers significant public benefit through the provision of the 24/7 publicly accessible pedestrian street and an elevated park that aligns with the cathedral ground plane across Adelaide Street. This large scale green space adds to the identity of the sub-tropic city in a genuine and contemporary manner: an elevated, verdant landscape that references the historic terrain that was the foreground to the cathedral. Tower forms utilise the metaphor of stacked art and polished stone, producing a building character that suits the demands of contemporary office accommodation. Elevations to the cathedral and river sides are emphasised by ‘revealing’ coloured, jewel-like surfaces behind the ‘cut’ glass surface. 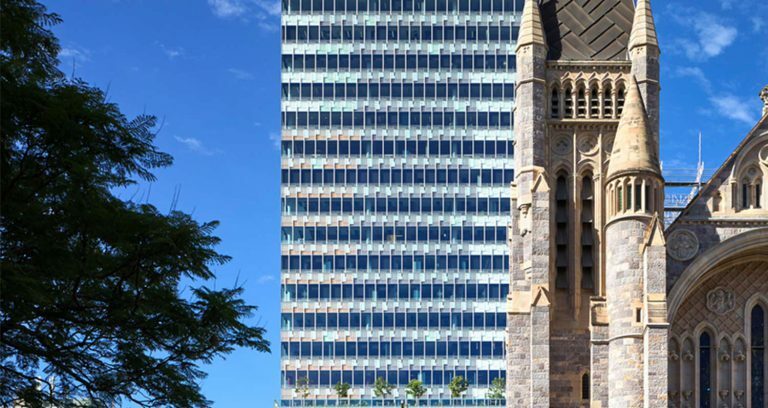 These cut façades portions form a contextually appropriate backdrop to St John’s Cathedral and a unique, contemporary and iconic building within the Brisbane city skyline.